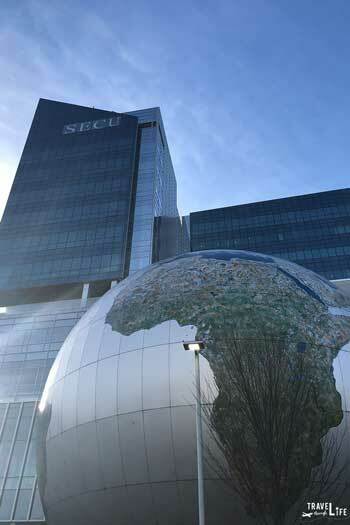 There are plenty of fun winter things to do in Raleigh, North Carolina and that’s what we’re going to share with you now. Before you get ready to visit Oak City during the colder months, you’ll need a comprehensive guide like this one. Here, you’ll find museums, arcades, and awesome places to eat and drink when hanging out in Raleigh. Let’s dig into our favorite ways to enjoy winter in one of our favorite North Carolina cities. Want to spend more time in Oak City? Check here for best the prices and availability on places to stay in Raleigh! Ready for Winter in Raleigh? One of the best things to do in Raleigh is to explore its museums, which you’ll find plenty of while staying there. Here are a few of our favorites, with a mix of just about everything. The North Carolina Museum of Natural Sciences has one of the coolest exteriors of any museum I’ve visited. On the inside, it is filled with beautifully curated exhibits and houses creatures many of us know and some that I had no clue live in North Carolina. Check out the Daily Planet Cafe on the first floor of the new addition. Grab a local bite or locally roasted Larry’s Coffee there during your visit. I’m also a big fan of the North Carolina Museum of Art, which is near the State Fairgrounds. 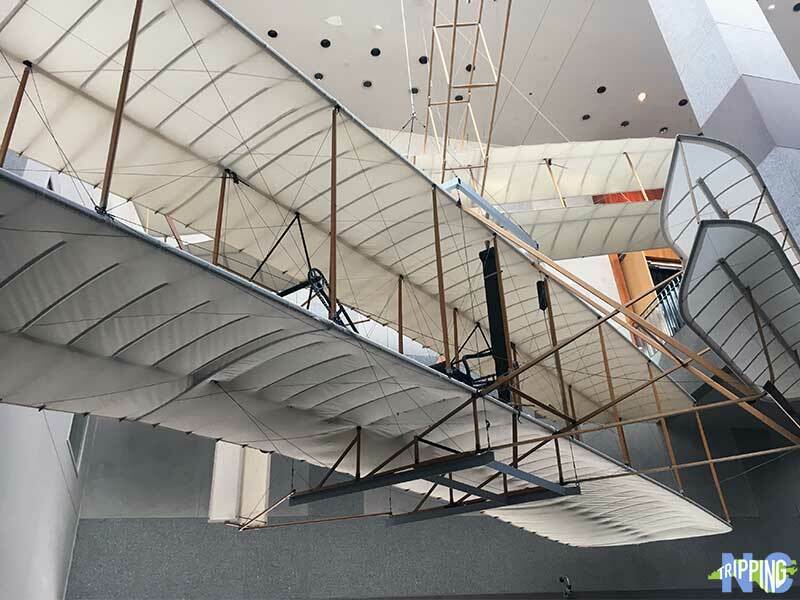 Explore their permanent collections that span the globe, but keep an eye out for exciting special exhibits that come through. There’s also the very nice Ann and Jim Goodnight Museum Park that you can enjoy on nicer days. 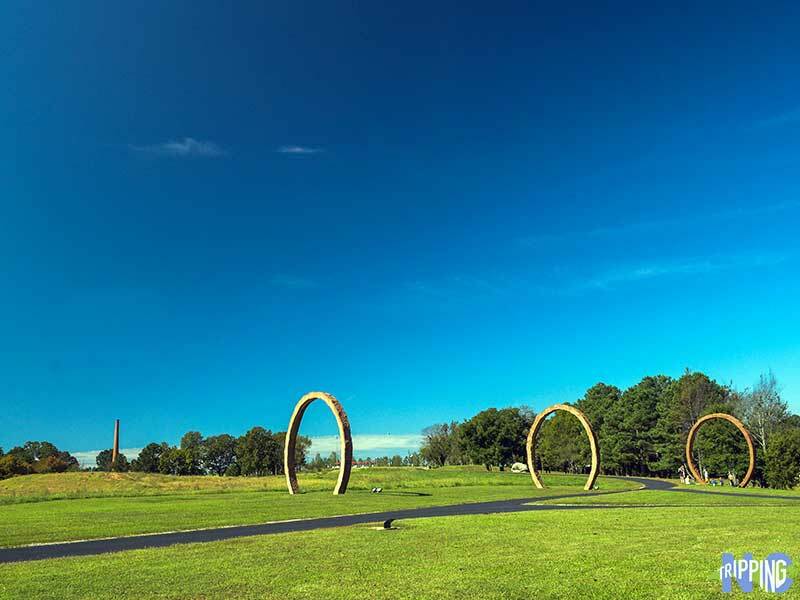 We included NC Museum of Art in our guide to winter things to do in North Carolina! NC State’s Gregg Museum of Art & Design has an interesting story and a growing collection of viewable artifacts. Also, Be sure to check out CAM Raleigh if you’re in search of a great space for contemporary art. Next door to the Museum of Natural Sciences is the North Carolina Museum of History, which celebrates the state’s distant past, present, and future. Inside, you can also find a dedication to the state’s rich athletic traditions via the North Carolina Sports Hall of Fame. 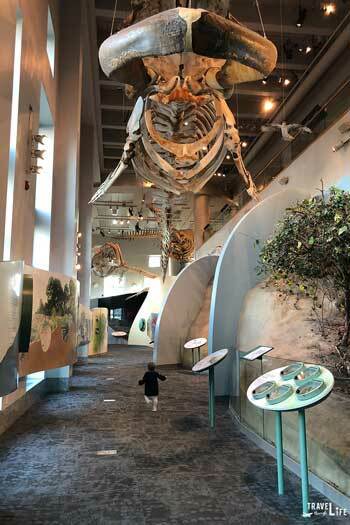 Families traveling to Raleigh can enjoy all these attractions, but especially Marbles Kids Museum. This interactive destination has been keeping children entertained and informed for over a decade and still going strong. Winter in North Carolina means college basketball is in full gear and the NC State Wolfpack are showing off their stuff at PNC Arena. The NHL’s Carolina Hurricanes play there, too, which means some of the best athletes in basketball and hockey come through Raleigh. If you’re more interested in playing games yourself or with your family and friends, check out Frankie’s Fun Park. They have a ton of stuff to do outside, but when it’s cold, check out the games inside. 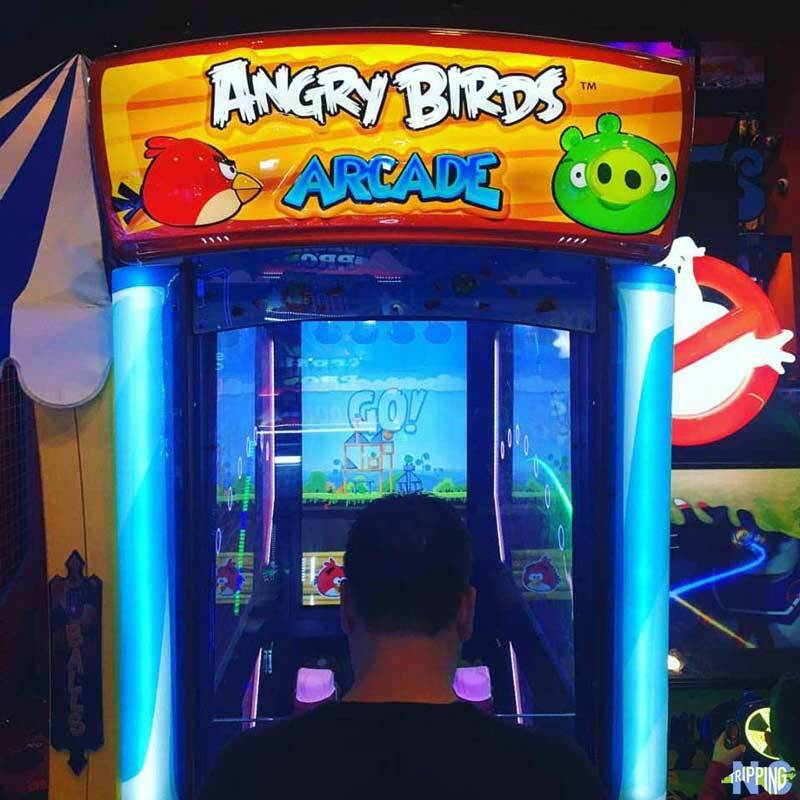 My personal favorite is the life-sized Angry Birds and massive Pac Man, but there are more choices found in this massive amusement park. Bonus Arcade: Still kid-friendly but also keeping adults in mind, Boxcar Bar + Arcade is geared toward the arcade fan, with over 100 classic and modern games, ski ball, and a massive bar stocked with craft, bottled beer, and spirits. Raleigh’s food scene is pretty hard to top, even by North Carolina’s very competitive standards. 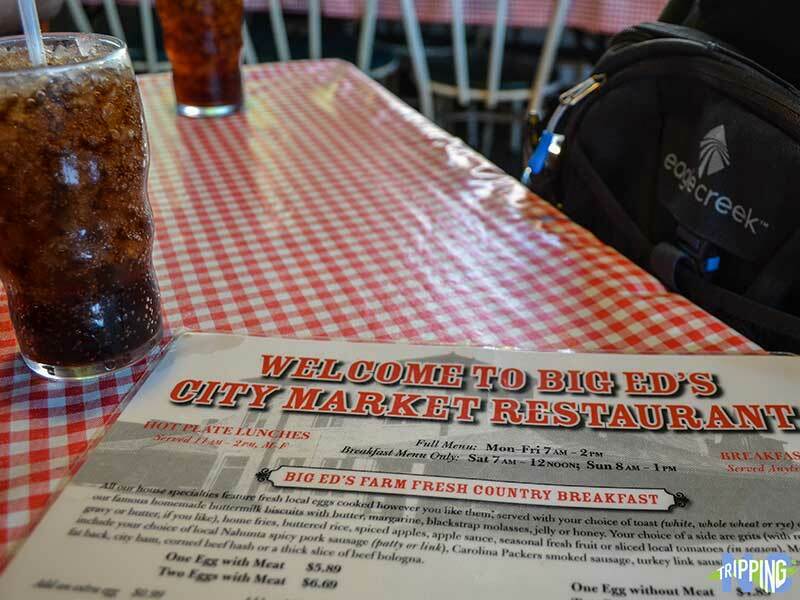 For breakfast, grab a bite at Big Ed’s City Market Restaurant’s delicious food, unlimited biscuits, and crazy-cool decor. 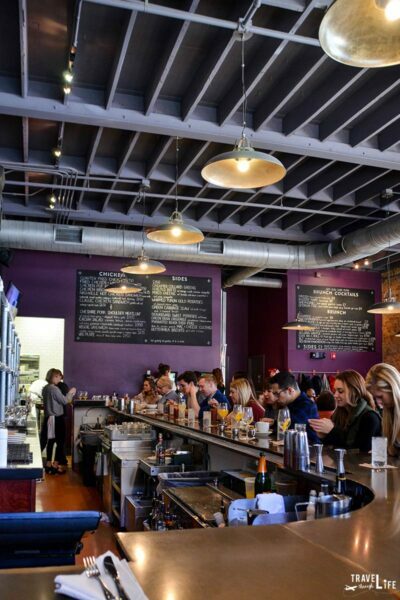 For brunch and beyond, The Raleigh Times Bar is an iconic spot in Raleigh and filled with history. Their massive drink menu and exquisite dishes will keep you full of joy. We’re also big fans of Hummingbird, Bida Manda, and the foodie heaven otherwise known as Morgan Street Food Hall. These last three are a big part of our guide to a Day Date in Raleigh, too! Of course, I couldn’t leave out Beasley’s Chicken + Honey. 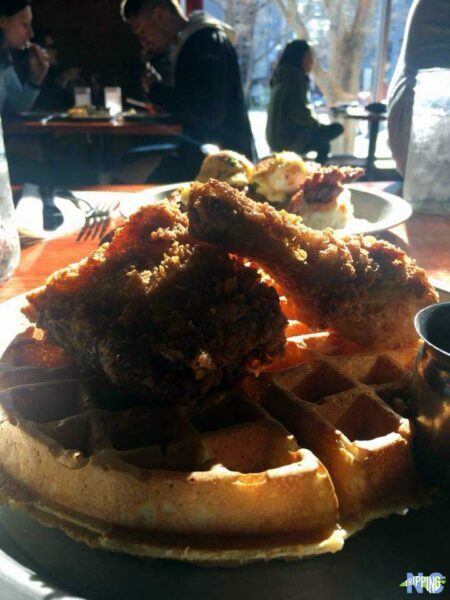 This is where James Beard-winning chef Ashley Christensen offers a wonderful menu that includes chicken and waffles, as well as some really cool rotating special options. Also, you thought I was going to talk about food in Raleigh and NOT mention barbecue? Head down to The Pit and let them convince you that pit-cooked barbecue absolutely can be perfected in a contemporary setting. You can also roll back the clock and grab some grub at Clyde Cooper’s BBQ, which has battled many competitors since the 1930s. Get a feel for Raleigh’s food scene with Ashley Christensen’s Poole’s: Recipes and Stories from a Modern Diner, co-written by Kaitlyn Goalen. I know Raleigh has even more food to discover. Who did we leave out? Let us know as we prepare to unveil an epic Raleigh food guide! So, I don’t know how else to write this, but North Carolina has some good beer. And if you want to discover just how much beer is produced in the Tarheel State, then you should explore the Raleigh Beer Garden. 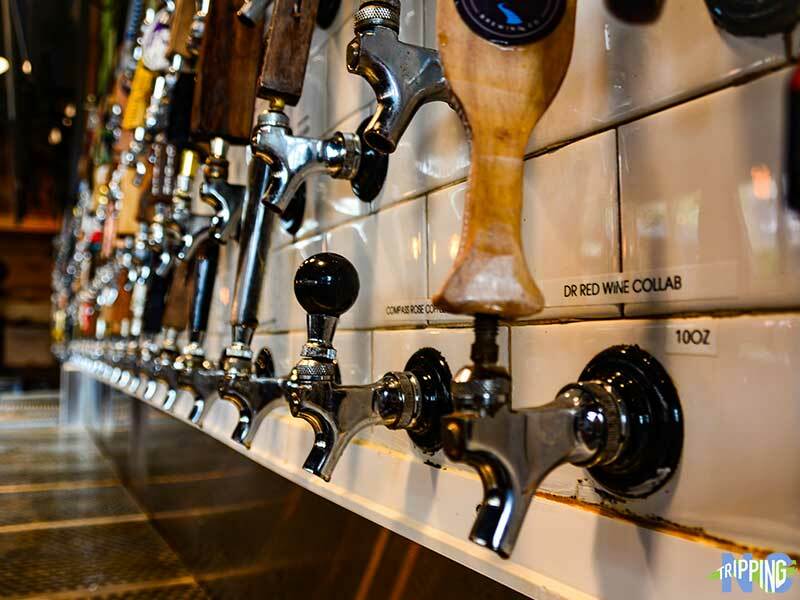 It holds the Guinness World Record for most unique beers on tap and over 200 of them come from North Carolina. A flight at Crank Arm will never disappoint. Love the IPAs at Lynnwood! A lot of the Piedmont’s beer is made in the Raleigh area. 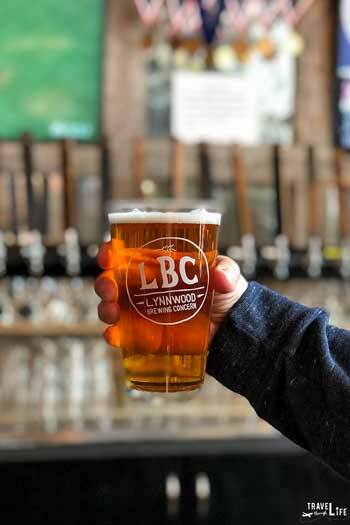 More than 30 breweries call Wake County home and if you want to get a good start, sip on the creatively named brews at Lynnwood Brewing Concern. 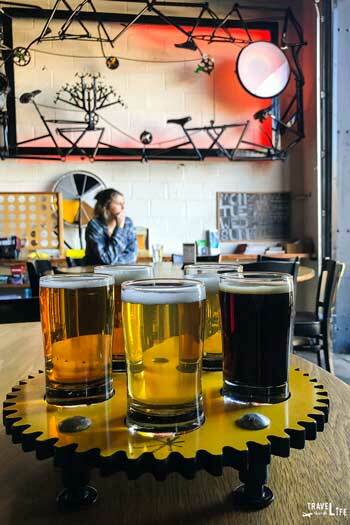 Grab a flight at Crank Arm Brewing, also known among the area’s cyclists, thanks to their weekly bike ride. Brewery Bhavana is interesting because the owners have created a brewery, taproom, dim sum restaurant, and flower shop and put it in one building. Bonus Place to Drink: Head over to Whiskey Kitchen for delicious mixed drinks and one of the largest spirits selection you’ll find in Raleigh. Don’t forget that they offer a delicious food menu, too! 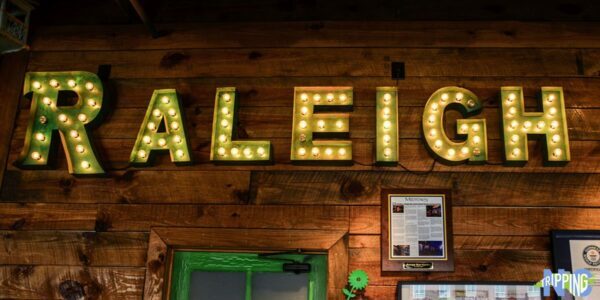 Are you ready to explore all these fun winter things to do in Raleigh? Now, let’s put it to you! Where would you go first when exploring Raleigh during the winter? Have you checked out any of the places we covered? Did we leave something out? Let us know in the comments section below! This post originally appeared on our sister site NC Tripping. This article was originally created on February 9, 2018. It has been maintained and updated (as of August 29, 2018) to reflect current viewpoints and North Carolina travel trends on our blog. Good deal here Carl. I visited my wife’s relatives in Fuquay Varina during summer time last year. We enjoyed a fun market – big one – on the outskirts of town. Plenty of colorful characters there selling interesting fare. Fuquay Varina is a cool little town, Ryan. One of my favorite breweries (Aviator) is based there. Let us know if you’re ever in the area. It’d be cool to meet up for a bit.